Thank you for reading Lifestyle Asia. We love putting out good stories, but to help us get even better, tell us what you think about our site by answering a few questions. The best part? You will automatically be entered in our giveaway, where you will stand a chance to win attractive prizes. 2. When you think of Lifestyle Asia HK, what comes to mind? 3. 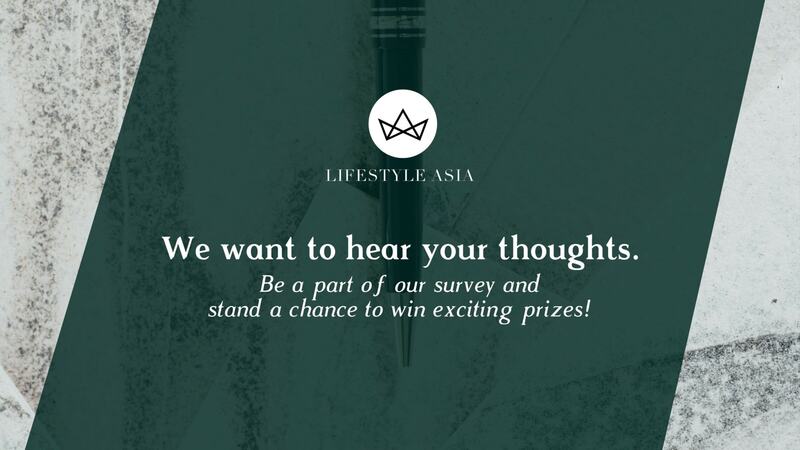 Which words best describe Lifestyle Asia HK to you? You can select up to five words. 4. Why do you read Lifestyle Asia HK? You can select up to three points. This field is compulsory if you would like to take part in our giveaway. Please fill this in so we can notify you for prize-winning purposes.